In partnership with The Natural History Museum of Utah and their current exhibit, Chocolate: The Exhibition, local chocolate makers and restaurants are partnering together to create a special chocolate dish to celebrate the exhibit. For March, Fresco Italian Café’s chef Logan Holt is pairing with Mezzo Chocolate to create an amazing three-course chocolate meal for $35. 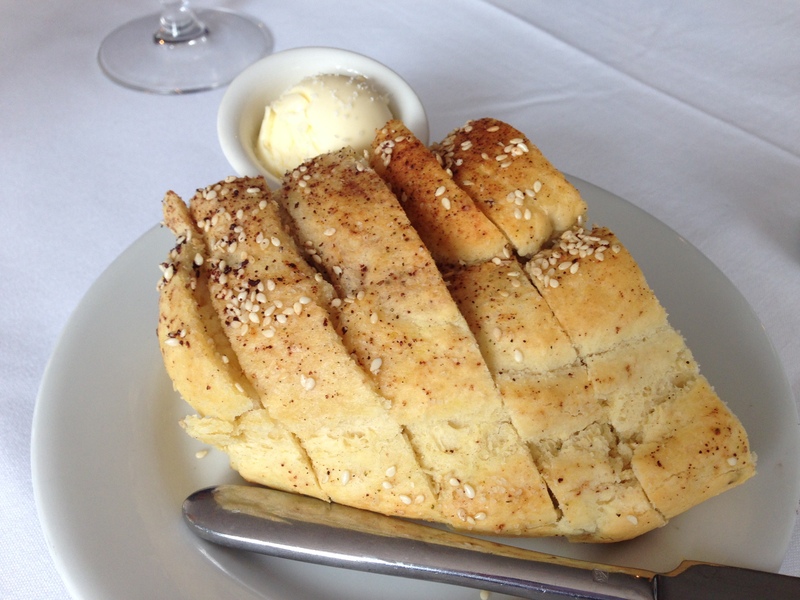 The meal begins with fresh bread dusted with Mezzo Chocolate. Then enjoy the first course of house-made picante sausage topped with frisee and ricotta silata countered with Palos Blancos chocolate basil pesto and a chocolate vinaigrette. Tangy, sweet, fruity and spicy all perform a lively dance over the tongue. 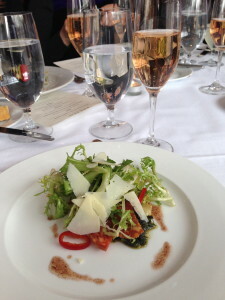 Paired with a delightful Gloria Ferrer Blanc de noirs for $5 (3 oz.) or $8 (5 oz.) this opening course sets the tone for an adventurous meal designed around chocolate. 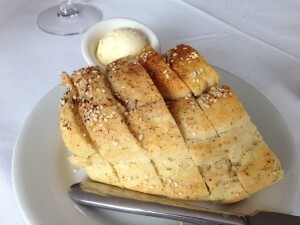 The next course will be fondly remembered by my tastebuds for perhaps, ever. 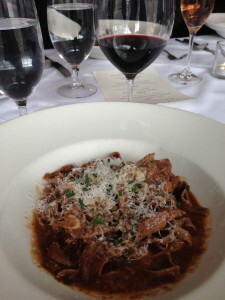 At 75% cacao, Carenero Superior Mezzo chocolate fettuccine is tossed with a hearty smoked duck ragu and sprinkled with Pecorino Romano and sage for a deep earthiness. Had I not been dining with others, it’s possible I would have tipped the bowl up and drank the last drops of sauce. 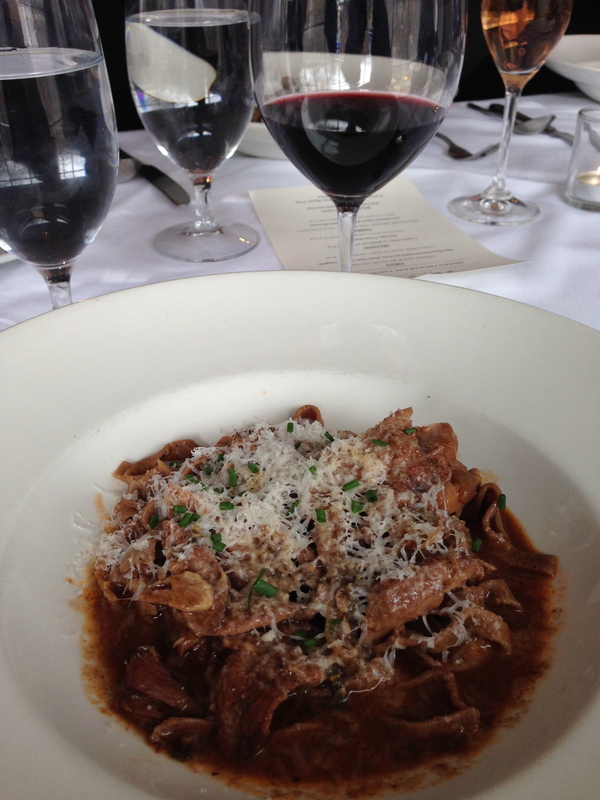 Fresco has paired this dish with a caburnio from Tenuta Monteti ($5/$8) to match the depth of the entree. In closing, a Madagascar hot chocolate alla Italiano really celebrates Mezzo drinking chocolate. 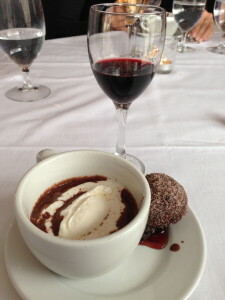 Served with an airy bomboloni touched with cherry rhubarb compote and whipped marscarpone, this dessert can be further paired with a Smith Woodhouse port for $9 and brought the meal to a satisfying close. 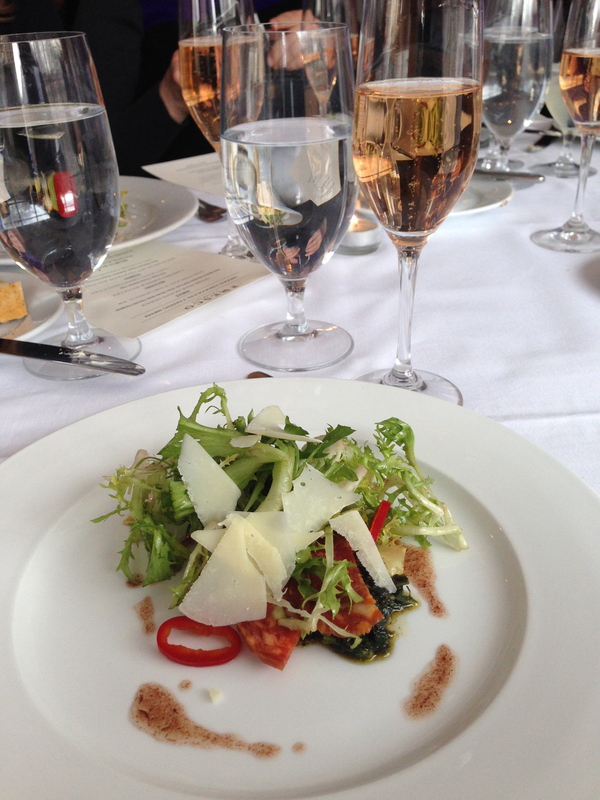 Joining us for the preview meal was Mezzo Chocolate owner Topher Webb along with business partner Thom Williamson. They discussed different elements of the meal, cooking with and production methods of Mezzo chocolate and many of the new products Mezzo will be launching over the next few months. 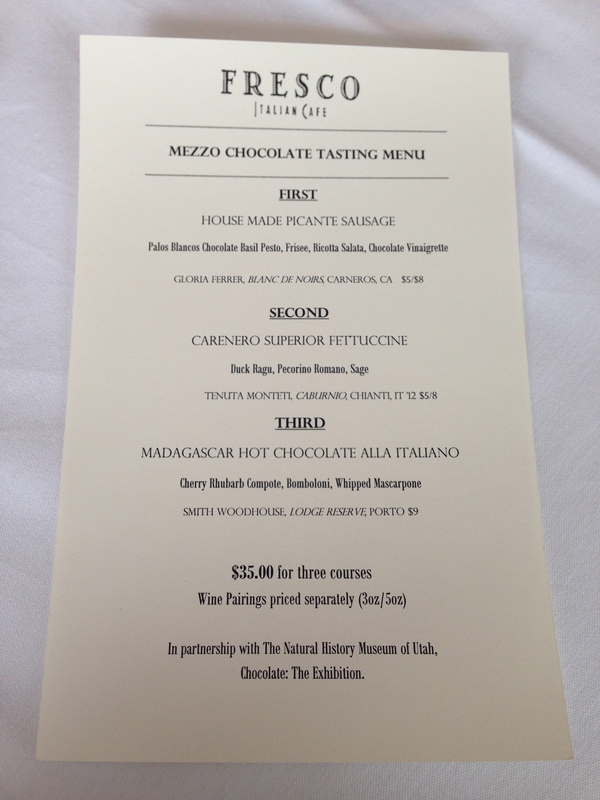 To enjoy the Mezzo Chocolate tasting menu, simply visit Fresco, located at 1530 S. 1500 East. 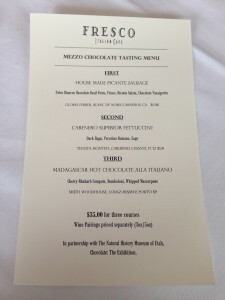 * Thanks to Fresco for hosting me as their guest during a special preview of the chocolate tasting menu.